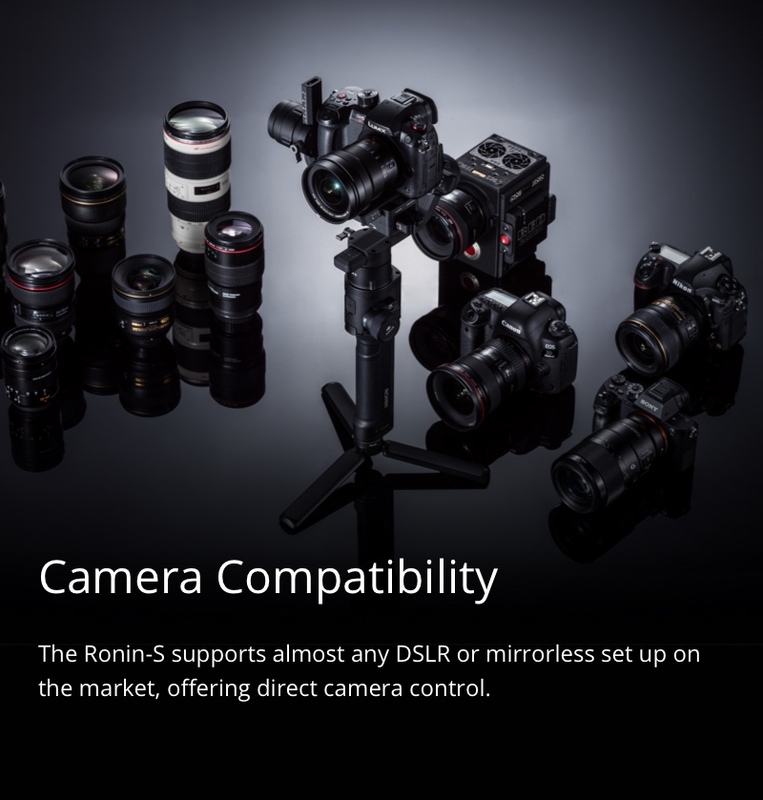 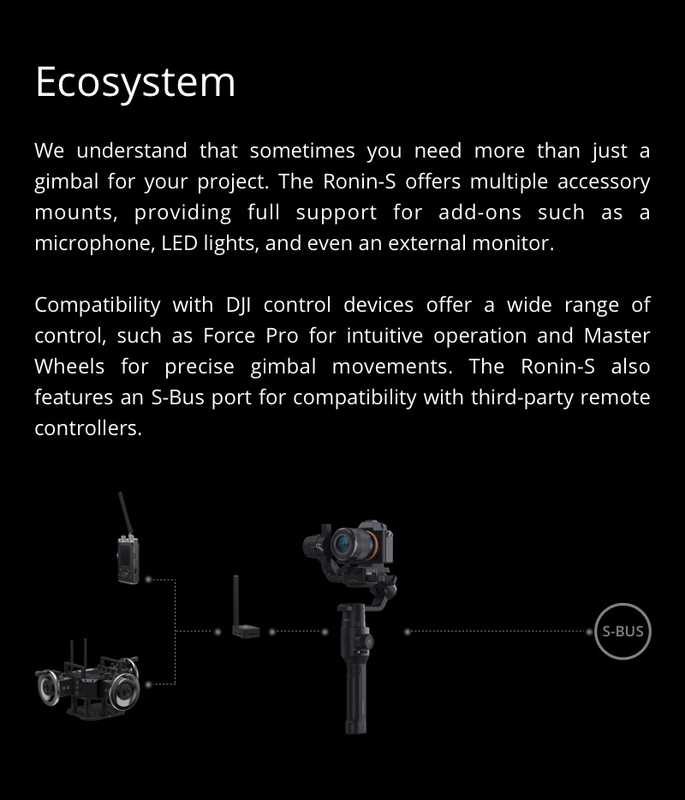 MustHD 7" LCD HDMI On-camera Field Monitor with Focus Assist and Color Peaking The M700H is designe..
For Ronin-S, Osmo Mobile 2, Moza Air, Crane V2, Crane-Plus, and Crane-2 Accessory Mounting with..
Overview In order to control your camera with the Ronin-S Camera Control Button, use the Mult..
Overview Use the Multi-Camera Control Cable (Multi-USB) to connect your Sony camera to the Ro..
Overview The Ronin-S Extended Grip/Tripod connects to the Ronin-S handle so that it is comforta..
Overview The Ronin-S Focus Wheel mounts onto the 8-pin port of ..
Overview This RSS IR Control Cable can be used with cameras tha..
Overview The Multi-Camera Control Cable (Type-C) connects a cam..
Overview The Multi-Camera Control Cable (Type-B) connects a cam..
Overview Ronin-S Camera Riser is attached under the camera to m..
Overview The Ronin-S Battery Adapter is designed to charge the ..
Overview The Ronin-S DC Power Cable connects a camera to the 12..
Overview The Ronin-S Cheese Plate is equipped with 1/4"-20..
Overview The Multi-Camera Control USB Female Adapter is used ..
Overview The BG37 Grip makes Ronin-S compatible for handheld ..
Overview The DJI Ronin-S Command Unit enables users to set pa..
Overview Ronin-S Top Hotshoe Bracket is used to more securely..
Overview This Ronin-S Extended Lens Support has a relatively ..
Overview The Ronin-S Focus Motor is used with the Ronin-S Foc..
Overview The DJI Focus Motor Rod Mount is used to attach the ..
Overview The DJI Focus Gear Strip enables users to adjust the..
Overview Use the Ronin-S Universal Mount to install the Ronin-S to a carrier with 1/4"-2..
Overview With the DJI Ronin-S External GPS Module, the Ronin-..
GPC’s long-awaited DJI Ronin-S case is finally here. 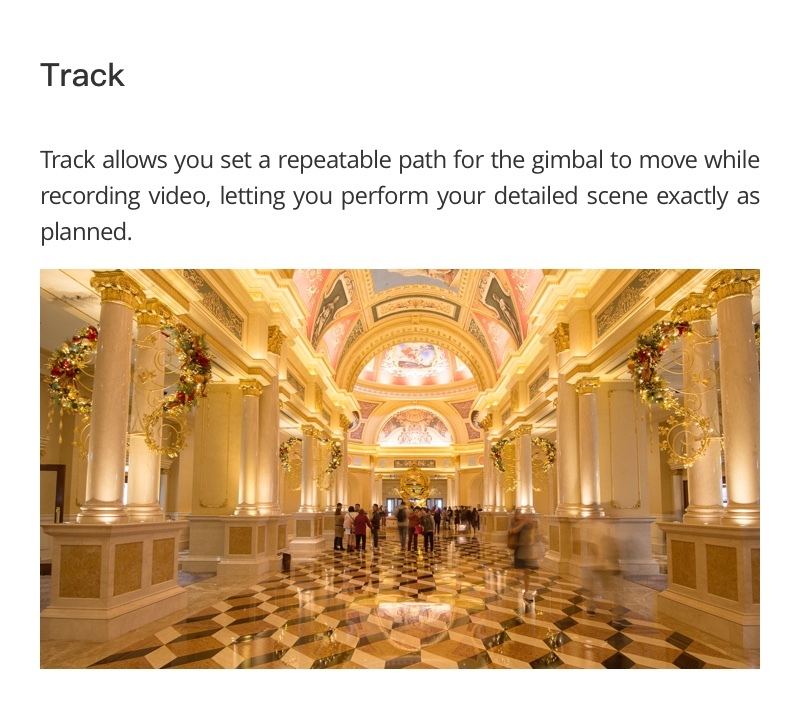 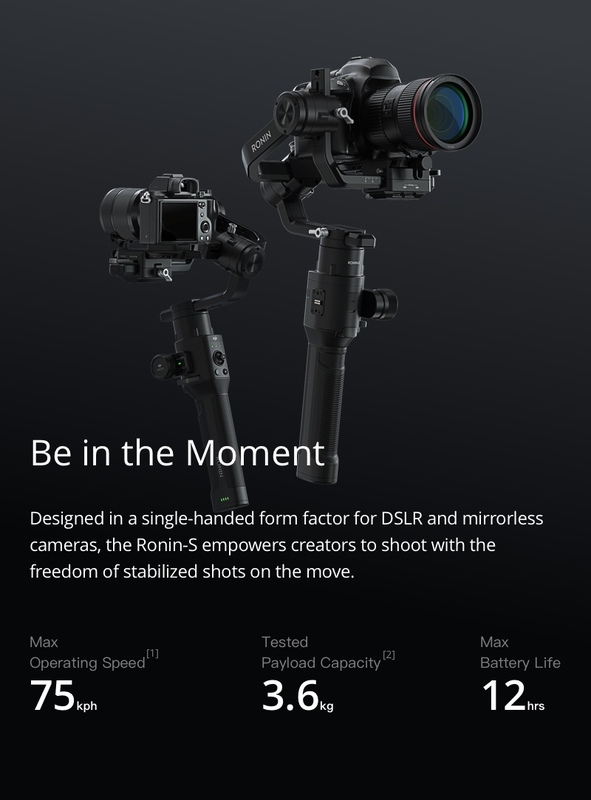 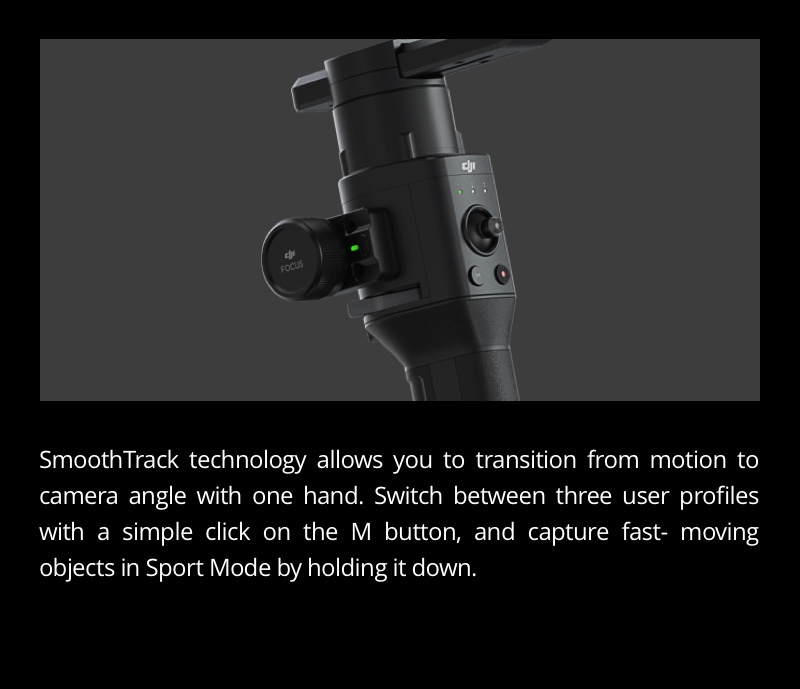 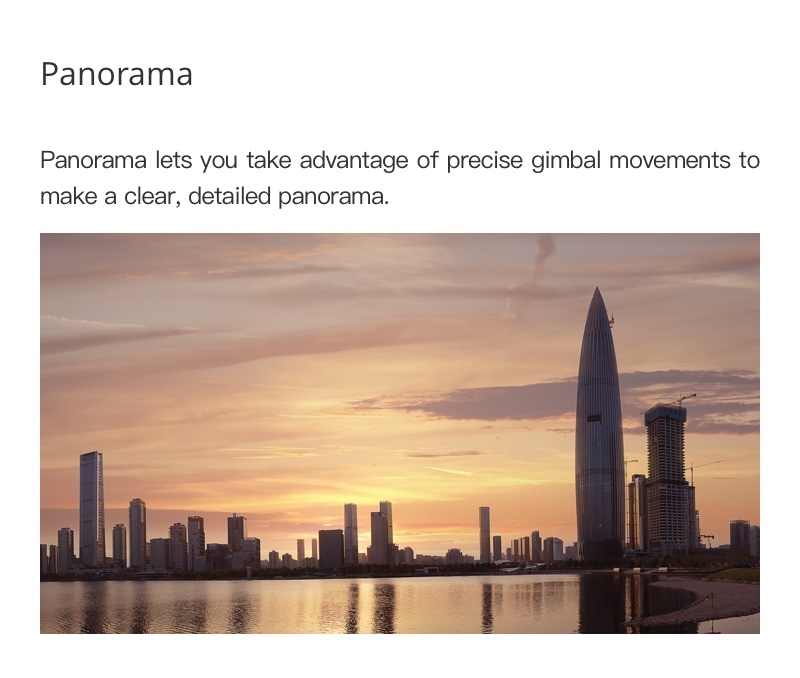 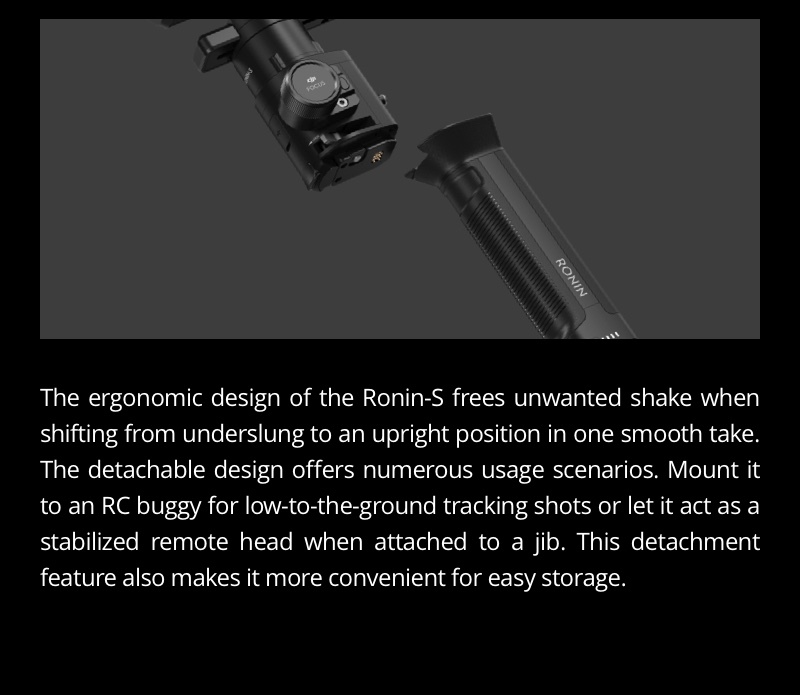 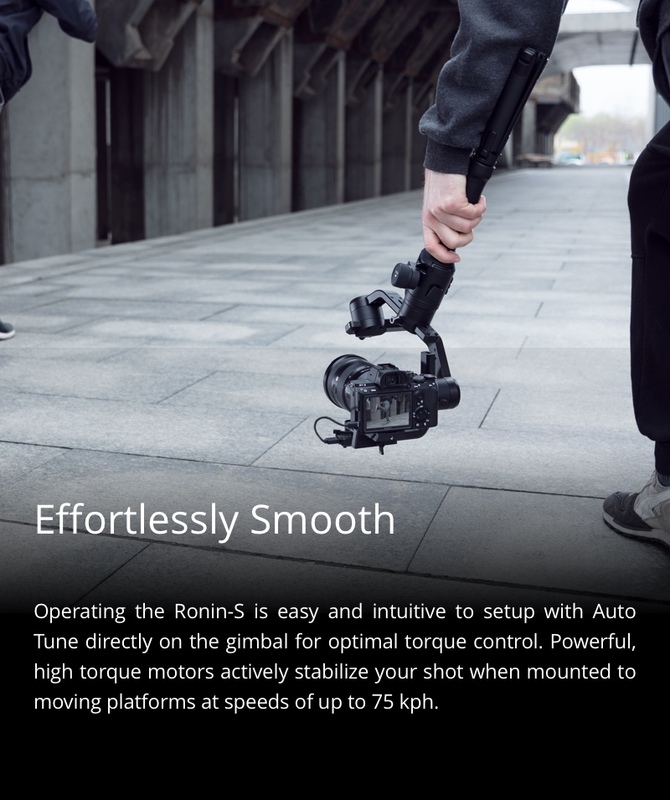 GPC understands that the least amount of ..
SmallRig Universal Magic Arm with Small Ballhead 2157 Key Features: 1.It supports rotation of an..
SmallRig Mounting Clamp for DJI Ronin S Gimbal 2221 Key Features: 1. 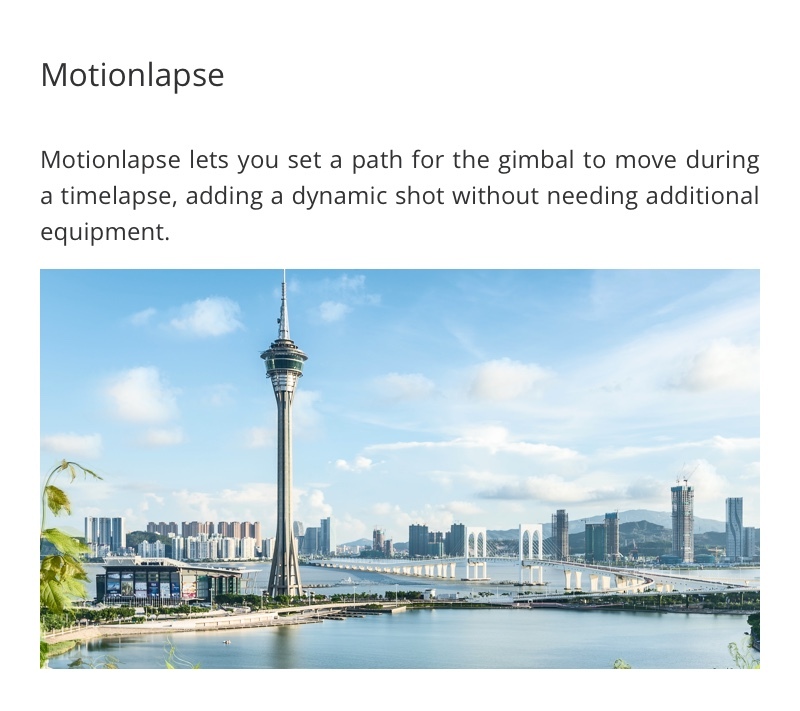 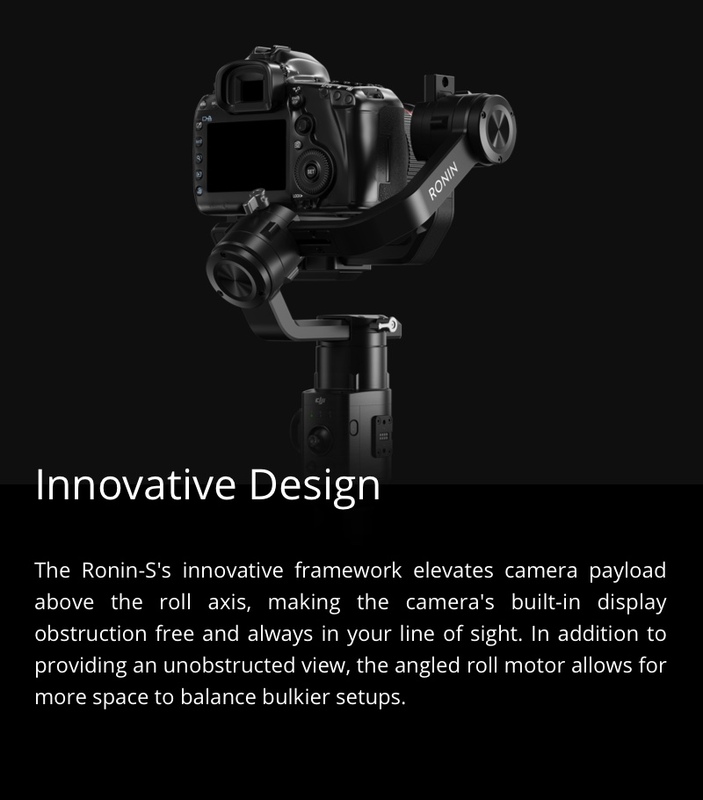 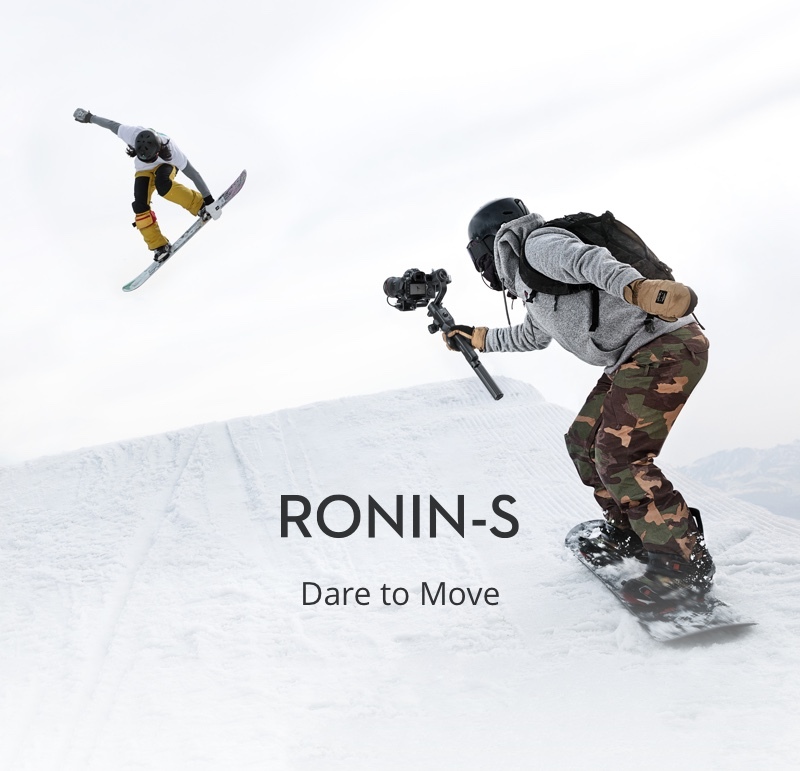 Designed for Ronin S Gimbal..
SmallRig Mounting Plate for DJI Ronin S 2214 Key Features: 1.Compatible with DJI RoninS Han..
mallRig Counterweight Mounting Plate for DJI Ronin S Gimbal 2308 Key Features: 1.Designed f..
SmallRig Counterweight (100g) for DJI Ronin S and Zhiyun Gimbal Stabilizer 2284 Key Features..
SmallRig Counterweight (200g) for DJI Ronin S and Zhiyun Gimbal Stabilizer 2285 Key Features..
SmallRig Heli-coil Insert Protection mounting Plate for DJI Ronin S BSS2263 Key Features: 1..
SmallRig Universal Wooden Side Handle for RoninS/Zhiyun Crane Series Handheld Gimbal 2222 Key.. 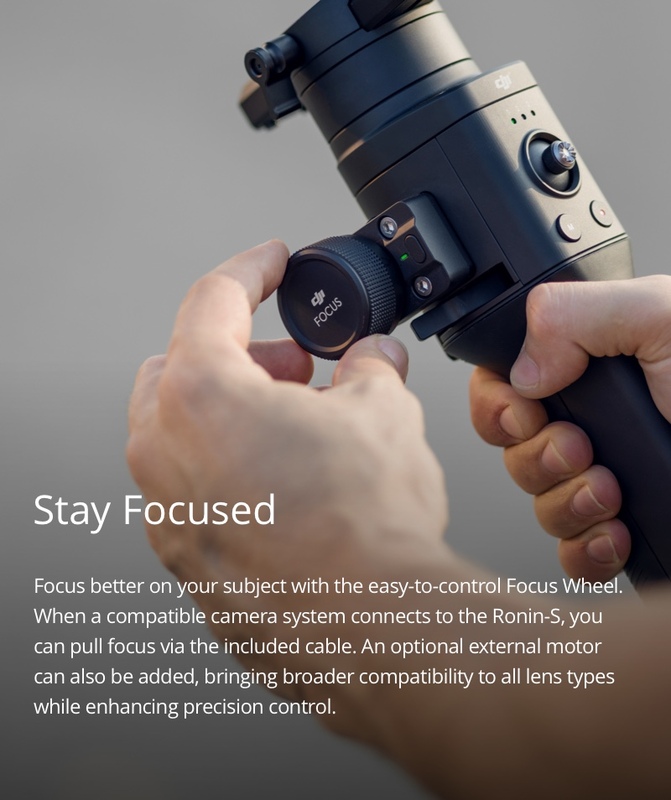 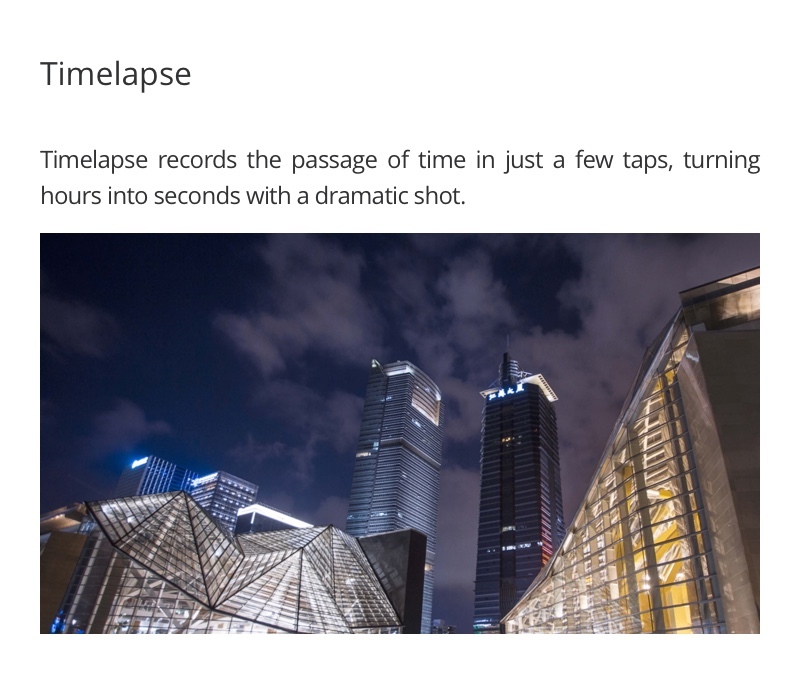 Tested on a Panasonic GH5 with a 50 mm (35 mm format equivalent) lens and optional top hot shoe bracket connected.